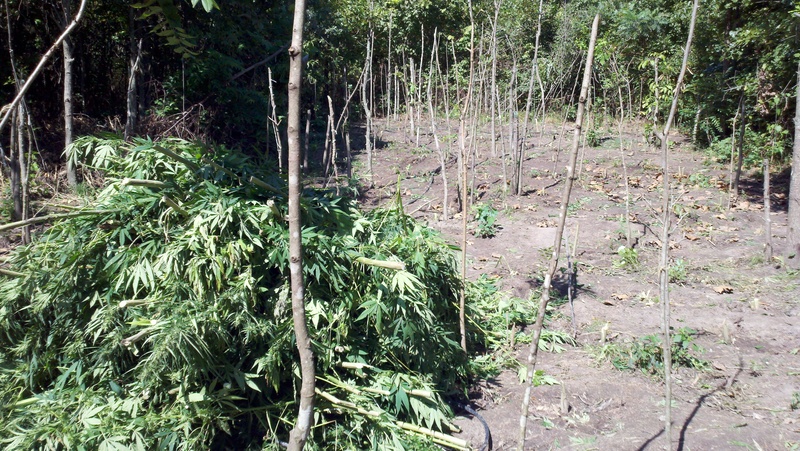 Deputies with the Cass County Sheriff's Office spent Tuesday removing a marijuana crop in rural Cass County. 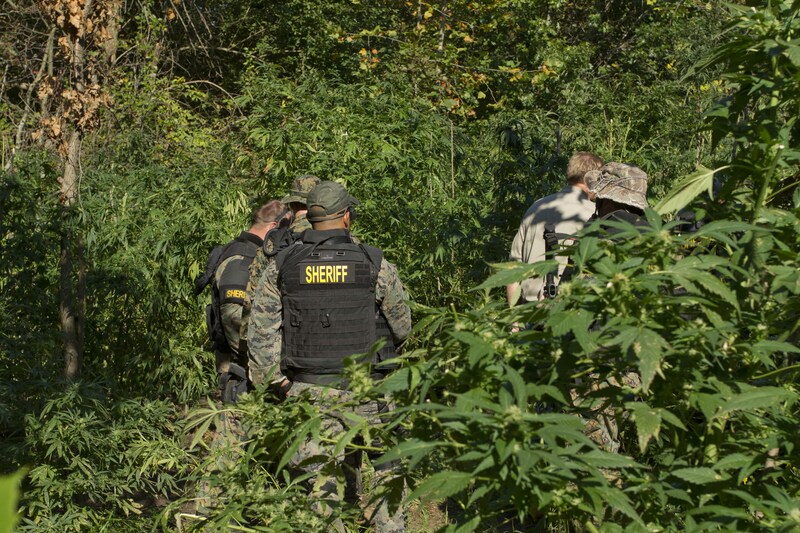 Acting on a tip, investigators discovered an elaborate outdoor marijuana field. 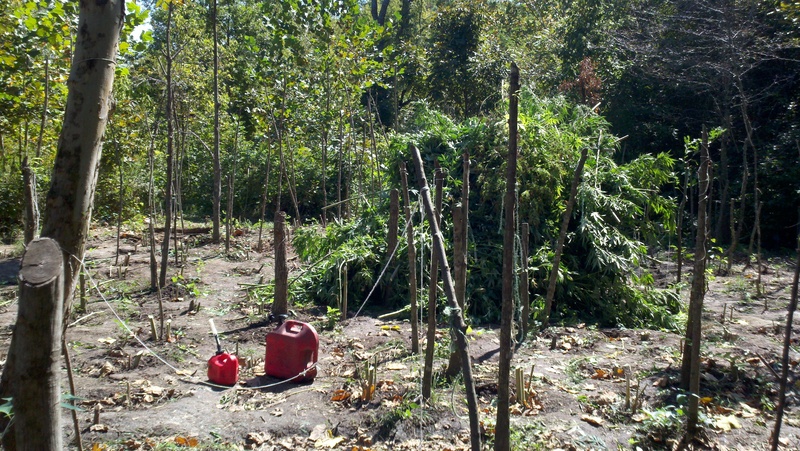 The growing operation is described by investigators as having a small irrigation system and campsite where as many as four people were living and cultivating the marijuana. 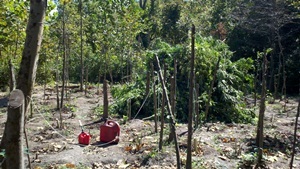 The operation was so well concealed that a public works crew had to use tractors and mowers to gain access to the site. 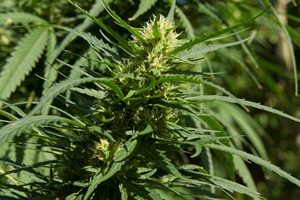 Deputies and Auxiliary members with the Cass County Sheriff's Office spent almost 7 hours cutting and removing the marijuana. 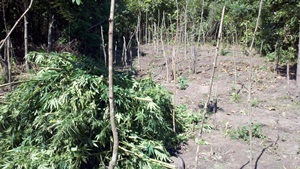 Sheriff Dwight Diehl stated that more than 900 plants were removed, some of those as were 12 to 18 feet tall. Investigators estimate the street value of the marijuana over $1 million. 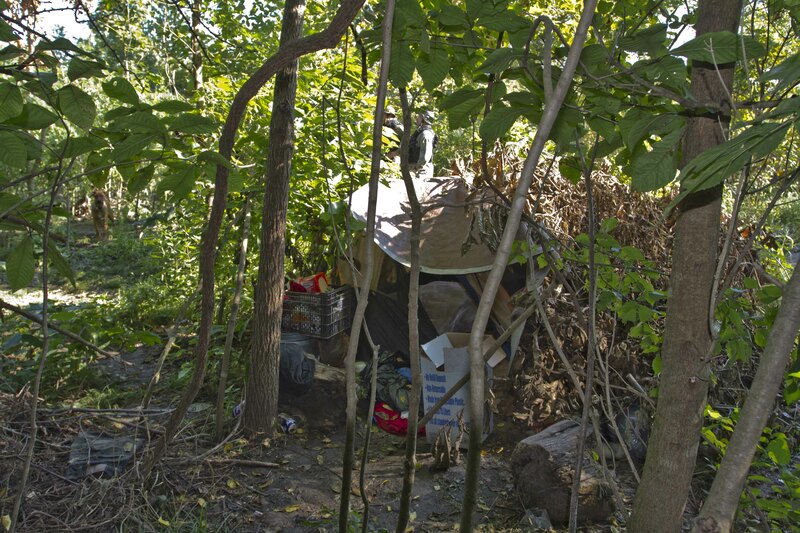 "A bow hunter came across the site and contacted several Hispanic males. 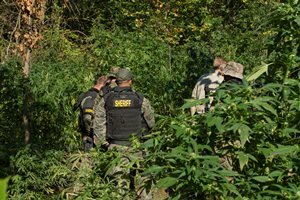 He notified us and deputies then searched the area, but the subjects had already left" said Sheriff Diehl. Citizens are reminded that inadvertently finding an operation like this can be dangerous and they should notify law enforcement immediately. 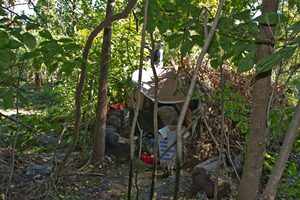 "Property owners with secluded areas of land should be aware that this type of activity could occur without their knowledge," said Sheriff Diehl. Anyone that sees or suspects illegal activity on their property should contact their local law enforcement. At this time no one has been charged or arrested.